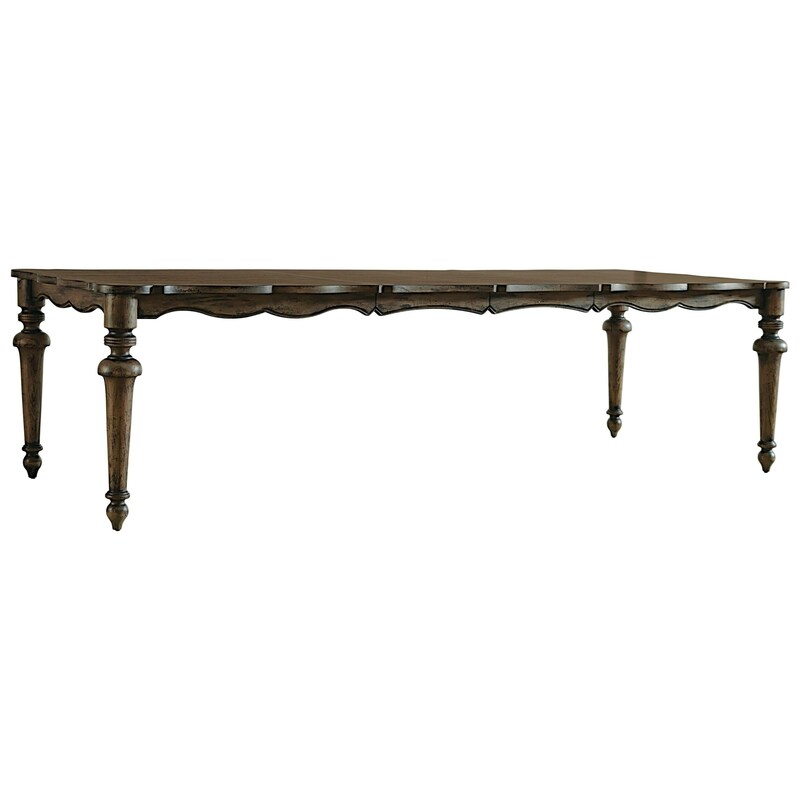 The Accentrics Home Lucia Leg Table by Pulaski Furniture at Belpre Furniture in the Belpre and Parkersburg, Mid Ohio Valley area area. Product availability may vary. Contact us for the most current availability on this product. 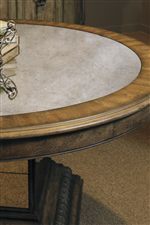 Case Detail Accentric Home uses a variety of bases including trestle bases with stretchers, pedestal bases, turned spindles, and slim tapered legs. Bring an eclectic mix of quintessential style and understated glamour to your dining space with the Accentric Home collection. 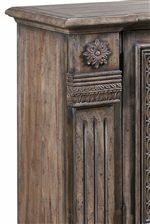 Inspired by today's relaxed style and classical design alike, it offers a distinctive personality for your home. Choose from a variety of grand scale dining sets and whimsical, handpainted accent pieces to create a dining area of peace and tranquillity. Filled with natural beauty and charm, pieces are finished in an aged patina with evocative hues to add character and relaxed style. The Accentrics Home collection is a great option if you are looking for Transitional furniture in the Belpre and Parkersburg, Mid Ohio Valley area area. Browse other items in the Accentrics Home collection from Belpre Furniture in the Belpre and Parkersburg, Mid Ohio Valley area area.